The new president of the Republican National Lawyers Association is Washington, D.C., attorney Elliot Berke (’93). 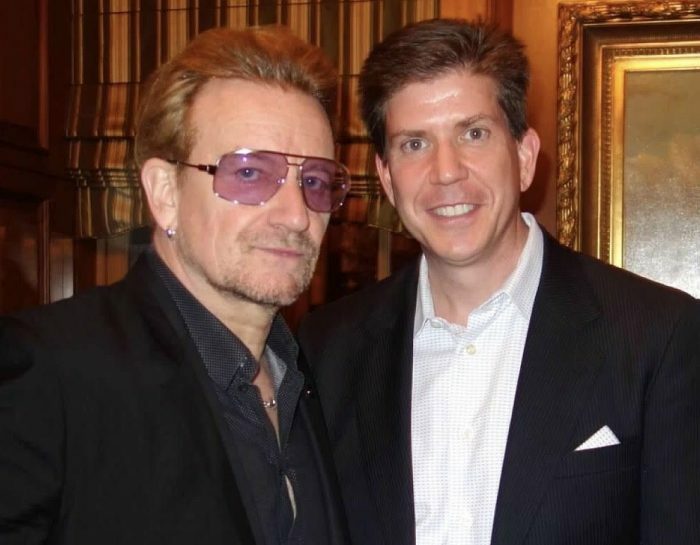 He’s playing an active role in the presidential transition, while working with rock-and-roll legends from Bono to ZZ Top, preserving the legacy of Winston Churchill and serving as outside counsel to U.S. House Majority Leader Kevin McCarthy, R-Calif., among others. “(My career) really has become a perfect blend of history, the work I do as a lawyer and my love of music,” Berke said in a phone interview from his office in Washington. “I didn’t design it that way, but all those things came together.” Following is an edited, condensed version of Kerry M. King’s (’85) interview with Berke. As president of the Republican National Lawyers Association, elected in December, how are you involved in the U.S. presidential transition? I’m taking a very active role with the transition. 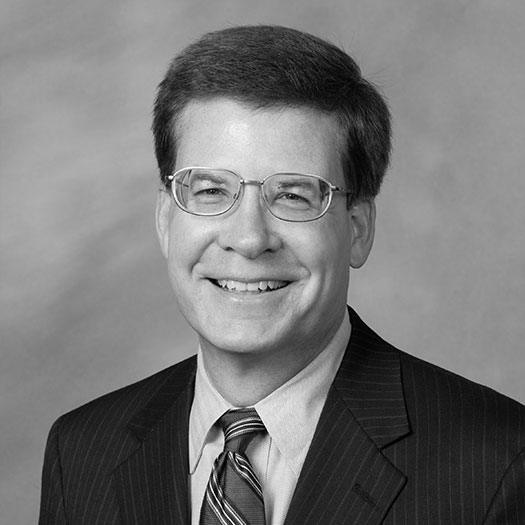 RNLA is the pre-eminent organization for Republican lawyers. Our membership is comprised of a lot of people who are interested in helping the incoming administration or going to work for the administration, so I’m helping them connect with the right people in the transition. Also, we’ll be very active in confirmation fights involving Department of Justice nominees and judicial nominations. And I know that you’re also involved in the transition through your work as managing partner of Berke Farah LLP? I’m representing a number of nominees and potential nominees at the Cabinet and sub-cabinet level including (former Texas) Gov. (Rick) Perry, who has been nominated as secretary of energy. The confirmation process doesn’t just start and stop with the Senate hearings. There is a whole process of evaluating financial holdings, evaluating what assets need to be divested and where recusals are necessary to prevent conflicts of interest. I’m actively engaged in that process with a number of clients. 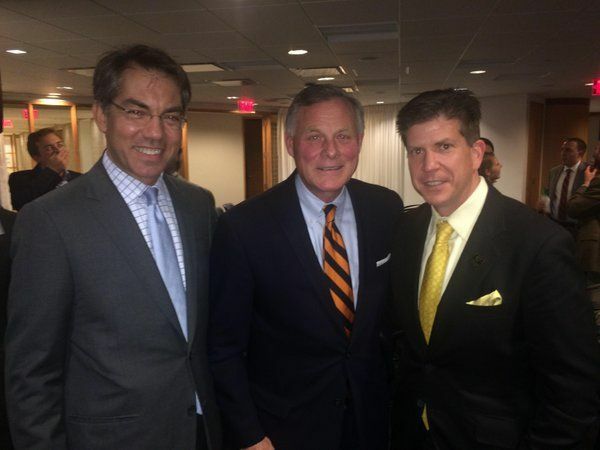 Elliot Berke, at right, with Jack Kalavritinos ('85) and Sen. Richard Burr ('78), R-NC. Do you foresee any formal role in the Trump administration? Public service was my first love, but I really do love what I’m doing now in the private sector — representing clients that align with my interests. I’m able to participate in the process without feeling like I’m completely consumed in the political bubble. It’s a nice fit, and I’m very thankful for that. You’ve been in Washington for 20 years during a time of increasing partisanship. Is there any turning back? It’s an unfortunate occurrence. Part of that is due to the fact that members don’t really know each other across the aisle the way they used to. They don’t spend time together. There are things that we can do to promote bipartisanship, but ironically ethics reform has had the counter-effect of limiting member exposure. It used to be that when members would travel overseas they would do so more on a bipartisan basis and they would get to know each other better. It’s more difficult to say terrible things about somebody who you actually know. A good example is Majority Leader Kevin McCarthy, R-Calif., and Democratic Whip Steny Hoyer, D-Md. They have a great relationship and work on a lot of things together. I suspect many people would be surprised to know that you also have a life outside politics, representing actor Robert Duvall and producing charity events for Bono, Journey and Kid Rock. When did your passion for music begin? Music has been a lifelong passion. I remember loving the Beatles before I even really knew who they were. Leading up to the 2012 (Republican) convention I provided counsel (to event producers) at the convention. I started to develop a good network and a good client base, and it just expanded from there. I know that you recently joined ATA Entertainment as executive producer of the upcoming documentary film, “The Man in the Camo Jacket,” on musician Mike Peters of The Alarm. 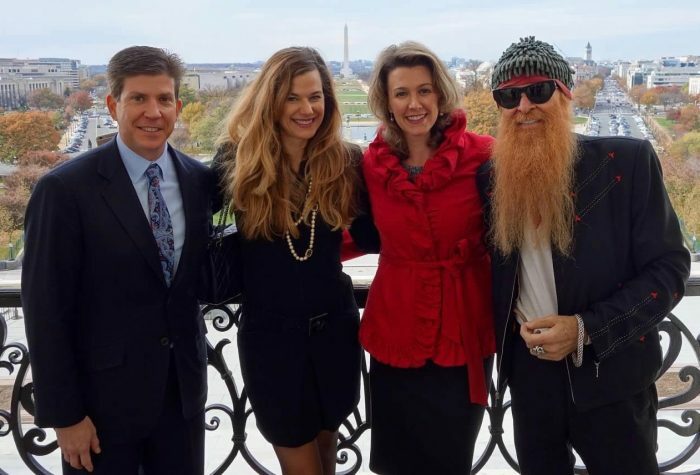 How does one go from representing (former Speaker of the House) Tom DeLay to working with Mike Peters? I agree that’s a curious juxtaposition (laughs). I got to know Mike as a rock hero, then as a friend and then as a personal hero when I learned how he confronted cancer. He approached it with such positive energy and set up a foundation, the Love Hope Strength Foundation, to sign up bone marrow donors. 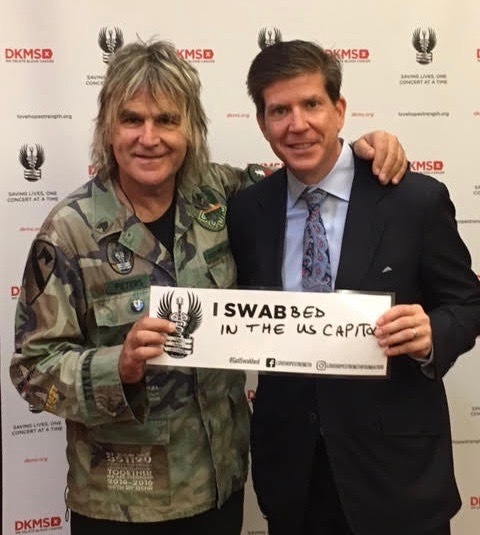 I organized an effort for Mike’s charity to do a bone marrow registry drive in the U.S. Capitol, the first time anything like that had been done. Along with politics and music, I know that you’re also passionate about history and that you serve on the boards of the International Churchill Society and the Vaclav Havel Library Foundation. I understand that you led efforts to place busts of Churchill and Havel in the U.S. Capitol? The two dedications I did in the Capitol are two of my fondest professional achievements. My admiration of Churchill started when I was in 8th grade and I did a history project on him. I actually joined the Churchill Society back then, so I’ve been a member now for over 30 years (I was admittedly an odd kid). I was able to continue my “Churchill studies,” so to speak, with a class I took with Dr. Scales (former Wake Forest President James Ralph Scales) on campus and then during the semester I spent at Worrell House. As for Havel, well, the fall of 1989 was a good time to be a college student. The small TV in my also-small dorm room became a front row seat to watch the beginning of the end of the Cold War. I became fascinated by this playwright and dissident who went from prison to the presidency. I wrote my senior thesis on the peaceful dissolution of Czechoslovakia and Havel’s role in it. You’ve given back to Wake by serving as president of the Alumni Council (from 2012 to 2014) and currently as a member of the Board of Visitors and Washington regional chair for the Wake Will Lead campaign. How did Wake Forest influence what you’re doing today? I wouldn’t be where I am or who I am without Wake Forest. It truly transformed my life, although I didn’t realize that when I was in college. It took some time. I’m thankful that I can give something back now. There are certainly professors who have influenced me and I owe a huge debt. I studied in London with (economics professor) Claire Hammond (P ’08), and her whole family joined us, so I became great friends with Claire and Dan Hammond (’72, P ’08). (Professor and retired dean for Student Affairs) Ken Zick (P ’02, ’03) became a great friend, too. His English Common Law class provided a foundation of understanding the historic blocks of our legal system that I took with me to law school (at Emory).